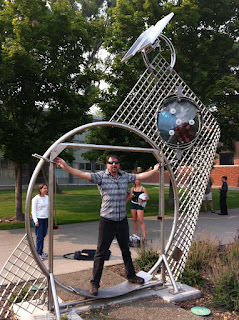 Yesterday, at Central Washington University we dedicated a marvelous piece of public art, Luke Blackstone’s "A Gesture for Planetary Alignment” (2012). This kinetic sculpture has been erected to the immediate southwest of the newly refashioned Hogue Hall, our engineering and technology center, which was also formally dedicated yesterday. 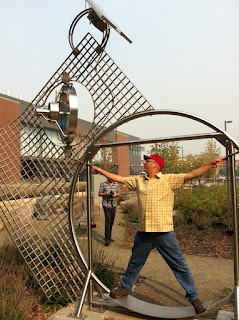 The piece is part of the Washington State art collection, and Mike Sweney, program manager for the Washington State Arts Commission’s Art in Public Places program, was on hand to speak at the dedication and introduce Blackstone. Blackstone’s work is built of stainless steel, glass, polycarbonate, and electrical components. It is organized around a stainless steel grid-like mesh that slightly curves, rising to a height of about fourteen feet. Set within the mesh are three circles of varying sizes. The largest circle, set near the ground, overlaps with a square frame from which project two levers (on which are affixed skateboard wheels). This configuration invites a person to stand within the circle, in the manner of the well known image of Vitruvian Man, spreading one’s legs and extending one’s arms. Moving the levers activates a complex “Planet gear” assemblage in an upper circular component which is set within a second circular shape. (A planetary gear system, which became prominent during the Renaissance, consists of a central “sun gear” around which rotate several identically sized “planet gears”, set within an “annulus” or meshed circular gear frame.) 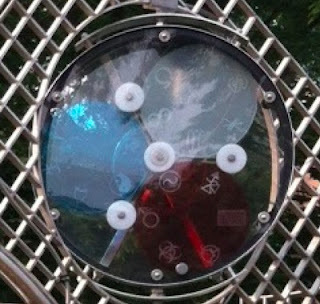 Blackstone has decorated his planet gear system with various symbols drawn from engineering and other conceptual domains. The third circle of the work is an empty circle, set at the very top of the curved metal grid complex. 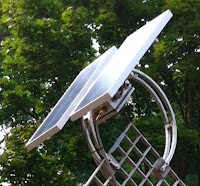 Atop this circle are two solar panels, which, along with the muscle power from the work's human occupant, provide the energy that moves the planet gear system. 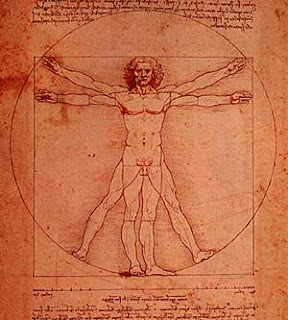 Many other artists had drawn versions of Vitruvian Man, but Leonardo’s differed from previous iterations in being based upon careful anatomical observation, and in that the arms and legs of the male figure are so configured as to generate a square and circle that neatly overlap. The drawing exemplifies Leonardo’s commitment to the principle of “cosmografia del minor mondo” (cosmography of the microcosm)--that in the working of the human body are to be found the keys to the mysteries of the greater universe. There are many fascinating aspects to the Blackstone piece. I love that there are no explicit instructions on how to position one’s body within the work; this is something successive passers-by will need to work out on their own. In that respect the sculpture calls forth the processes of experimentation and creative trial and error that underlie all technological and scientific advancement. A bit reminiscent of a jungle gym, this moving work of art invites us to play with our bodily being, within the infinite possibilities of science, engineering and technology. 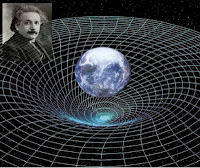 Most of the time, the work is unoccupied by a human body, and in that sense remains unfinished; only when a person stands within the great circle and square and works its levers, activating the upper planet gear system, can the work be said, for a few seconds of minutes, to be “complete.” Blackstone explains to us that the curving grid system was inspired by the grid paper found on the desks of engineers; on these sheets the engineer or technologist gives visual form to their technological imaginings, through a creative process that moves in an instant from eye and brain to hand and pencil to paper. "A Gesture for Planetary Alignment" exemplifies this meshing of the moving human body and its hands with the grid of creative expression and the technological products of the imaginative gesture. I am struck as well that the three circles described in the sculpture may be read as proceeding upwards, from the largest, lower circle, which invites occupation by an active human body, to the middle circle, which contains the rotating clock-like mechanism of the planet gear system, to the highest circle on which is affixed the solar panels, oriented towards the great orb of the sun, source of all life on our planet. Alternately, the work might be viewed as describing a downward descent of energy, from the sun, to the planets of the solar system (evoked in the middle circle’s planet gear system), to our own planet and our own bodies--and ultimately to the microcosmic circle set within our own torsos, our navel or belly button, from which Vitriuvius and Leonardo calculated their encompassing geometric shapes. Read in either direction, the work evocatively links our own bodies to our technological creations, and in turn to the cosmos beyond. One of my students remarked that she saw in Blackstone’s curving stainless steel grid system an evocation of Einstein’s vision of gravity as the curving of the four dimensional fabric of spacetime itself. (I believe Blackstone looked pleased when this line of interpretation was suggested to him.) Our Art Department chair Gregg Schlanger, noting that a student had simply stepped through the circle, compared it to a “Star Gate-- a veritable wormhole cutting through vastness of the cosmos. I am fascinated as well by the enigmatic symbols which proliferate within the rotating disks of the planet gear system--including the Omega constant, the infinity sign, and the biohazard symbol. To my mind these evoke in part the secret signs of alchemy and astrology, born of an earlier epoch’s efforts to discern dynamic inter-relationships between the trajectories of the cosmos and the shape of human lives. People standing within the sculpture’s great circle tend to turn their eyes towards the planet gear assemblage, trying to make out the puzzling rotating symbols, which defy easy deciphering. These mysterious signs impart a sense of the Sacred to this matrix, which hearkens back to Vitruvius’ classic observation, two millennia ago, that “in the members of a temple there ought to be the greatest harmony in the symmetrical relations of the different parts to the general magnitude of the whole.” Universities historically are derived, as we all know, from temple precincts and ecclesiastical institutions, set apart from the tumult of ordinary life so that humans might be reflect upon the great mysteries of the universe and our place within it. What better symbolic anchor for the university and our newly reborn technology center than Blackstone’s miniature temple of inter-meshing circles, centered on the moving arcs of the human body? In the end, it is to those mysterious symbols my mind keeps returning to as I contemplate A Gesture for Planetary Alignment. I am reminded of Georg Simmel’s foundational observation that the secret always has two faces, one which is forever closed to us and one which calls active attention to the presence of mystery, and which thus compels our attention. For Simmel, the secret as a sociological phenomenon is the ultimate source of social power, causing us to revolve around that which we discern but cannot fully uncover. It is this energy, our drive to make sense of exterior and internal mystery, as much as the photons streaming from the distant sun, that activates Blackstone’s work--and which activates our own ceaseless works of art, scholarship and scientific pursuit. 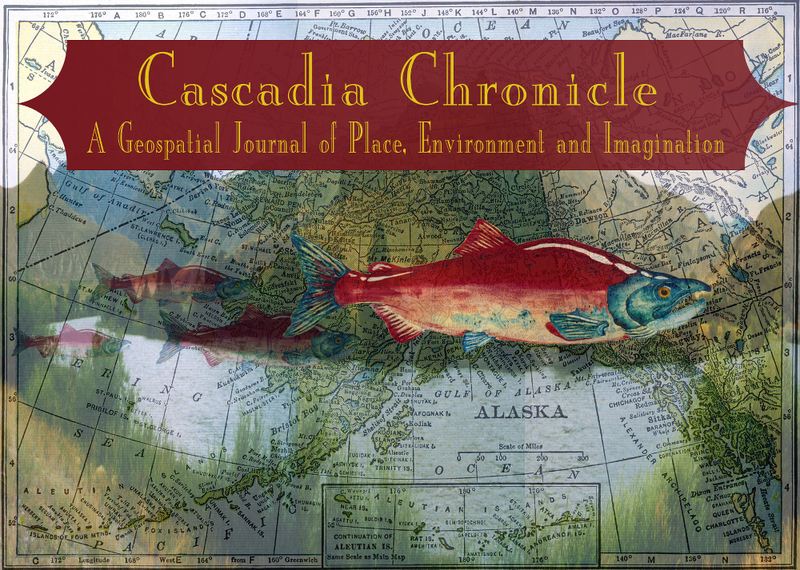 and please share your own reflections and reactions to Luke Blackstone's captivating work.